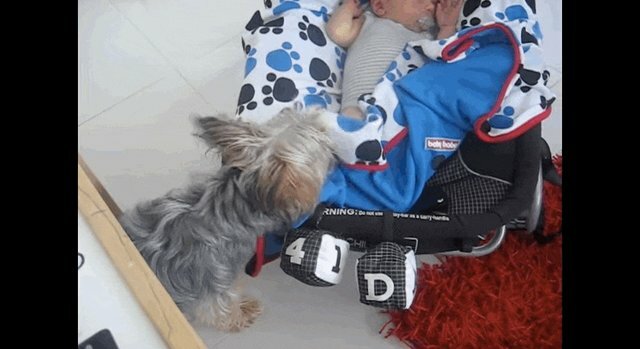 Misty's human caught this aww-inspiring video of the little Yorkie caring for her new baby brother by tucking a blanket around him. At first she's just nuzzling his little feet, making sure everything is OK, until she decides he needs to be tucked in. "My little Yorkshire Terrier Misty was doing something a bit unusual," Misty's human wrote, "so I grabbed my camera & filmed her. 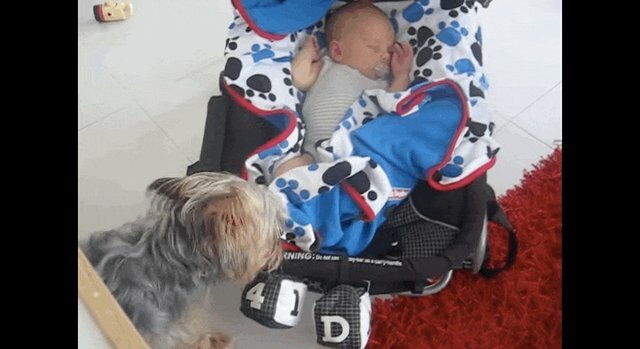 Turns out she was looking after her new little mate." She does a great job making sure he's covered. 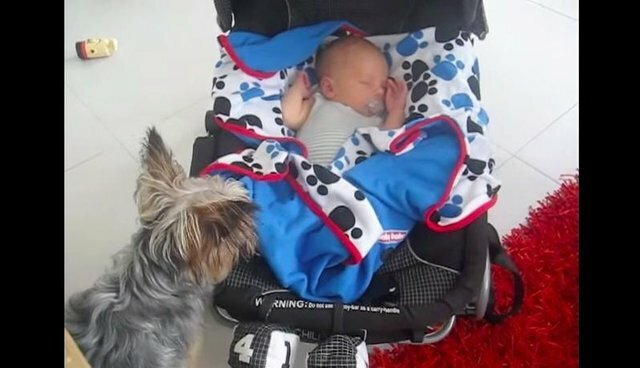 We're staring to think that dogs (and cats) make the best babysitters.